1. Place the steaks on a plate and season with salt, pepper and ground coriander. Cover with plastic wrap and marinade for 30 minutes at room temperature. 2. Over medium high heat add chopped bacon, garlic and butter to cast iron skillet. 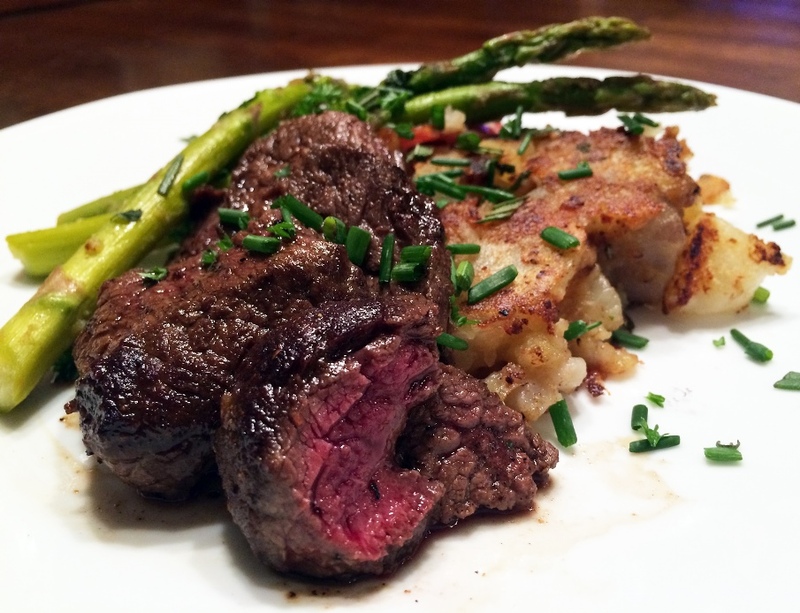 Raise heat to high and cook elk steaks 3-4 minutes on every side. Transfer the steaks to a cutting board and let rest for 5 minutes. Slice the steaks across the grain. 3. To make the smashed potatoes, roughly peel and chop the potatoes into quarters. Boil them until tender while the steaks are resting. 4. In a large nonstick frying pan over medium heat, melt 3 tablespoons butter. Add the potatoes. Using a wooden spoon or potato masher, smash the potatoes coarsely, adjusting their texture as necessary. Mix in the rosemary and chives. Cook until browned on one side and then flip. Season with salt and pepper. 5. 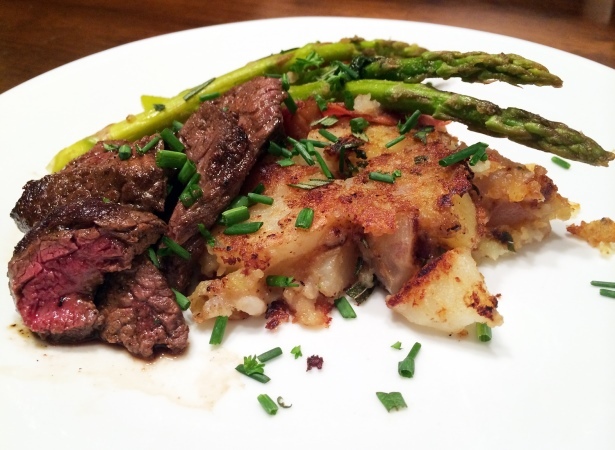 Serve steaks with potatoes and a side of steamed asparagus.